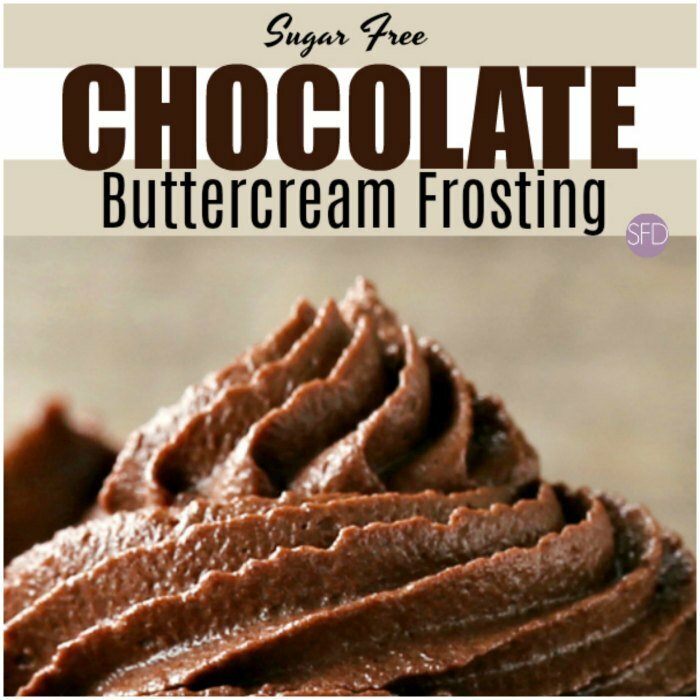 This Sugar Free Chocolate Buttercream Frosting recipe proves that even if you are trying to avoiding sugar does not mean having to avoid a delicious dessert. Use this frosting on your favorite sugar free baked desserts. This has been a popular recipe around here. This is probably because there are so many uses for a chocolate buttercream frosting. Also, the fact that it is sugar free makes it even better. To be honest, this is one of those recipes that I don’t really mind licking out the bowl of. I know that I may be a bit old for that kind of fun but, like they say, ‘you only live once’. Plus, it sure helps with the clean up if the bowl is pre-cleaned. A while back I posted a recipe for sugar free buttercream frosting. This recipe has surprised me in it’s popularity. I guess that we are all looking to have our cake and enjoy it too. Right? Because I have had many people tell me that they liked my recipe for Sugar Free Buttercream frosting, I thought that I would post this recipe. That is a good thing as I like to hear how my recipes are working for folks. This recipe for frosting allows those of us who want a delicious frosting for our cakes without all of that sugar. This is a recipe for chocolate buttercream frosting that has no added sugar. People ask me for a chocolate version of my sugar free butter cream icing. 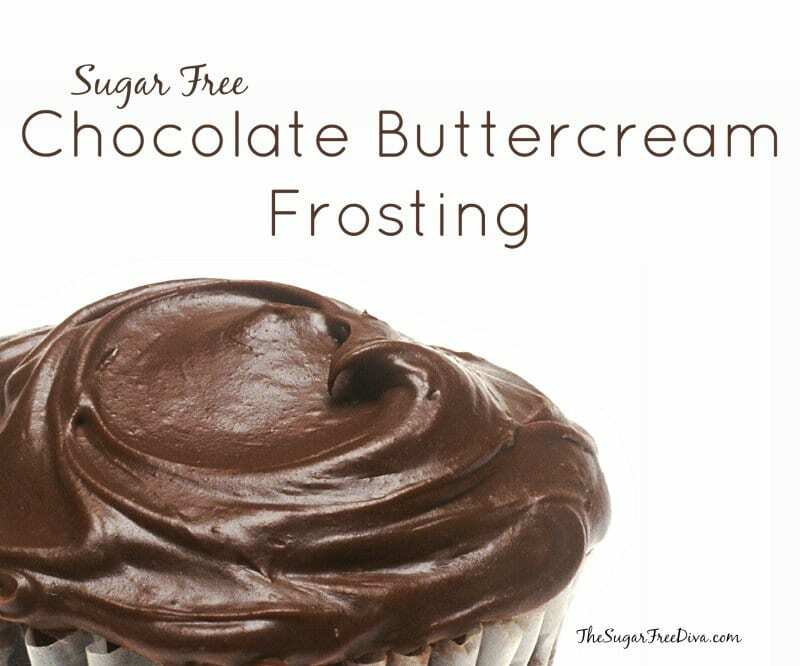 This recipe for Sugar Free Chocolate Buttercream Frosting is a way to top a cupcake or cake without adding a lot of extra sugar. This frosting is simple to make. I really like that I know exactly what is going into this recipe. Sure, there is some convenience to using a pre-made store bought frosting. However, if you have ever read the ingredient label on one of those frosting containers, you may have wondered about things just as I have. Thus, I like making my own. I have some great recipe suggestions on what you use this frosting on. Sugar Free Devil’s Food Cake. Kind of like chocolate on chocolate. Sugar Free Sponge Cake (a really popular recipe here). Sugar Free Pound Cake (another really popular recipe- yay!). Butter- 1/2 cup (1 stick) softened to room temperature. Sugar Free Powdered Sugar- 3 cups. You can make this yourself using this recipe or buy sugar free powdered sugar online here. Unsweetened Baking Chocolate-– 1 4 ounce bar. Melt this and use it at room temperature. Sometimes I will just put mine in sunshine and allow it to melt while I work. Be sure to put it on a plate or in a bowl if you decide to do this. Vanilla extract (can sub in rum or other extract..)- 2 teaspoons. Dairy- Milk, Buttercream, or Greek Yogurt- 3-4 tablespoons depending on desired thickness. By the way, if you are looking for more of a cocoa frosting, check out this recipe for sugar free cocoa buttercream frosting. Start by whipping up your butter to make it fluffy. I use a whisk attachment on my mixer. Add the sugar free powdered sugar to the butter. Switch to a paddle attachment or mix by hand using a spoon. Cream this together. Stir in the chocolate and the vanilla extract. When the chocolate appears to be blended in, add a tablespoon of your dairy. 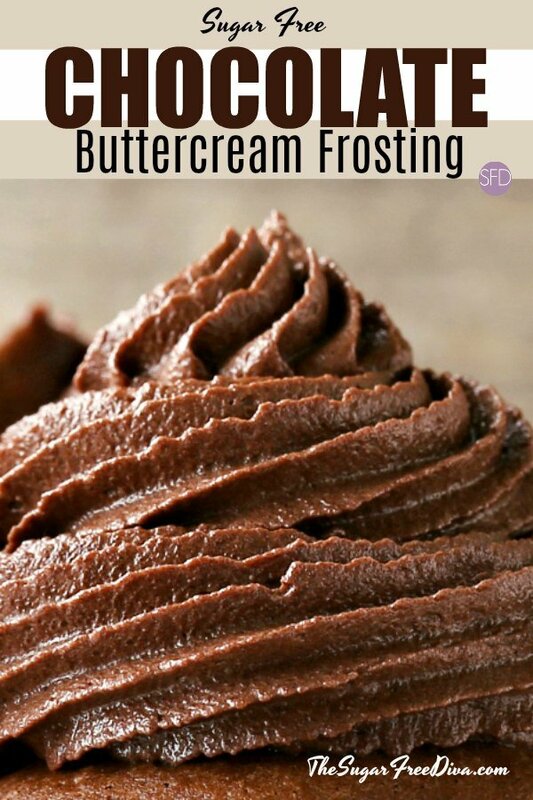 Whip this up and if your frosting seems to be too thick continue to add additional dairy, up to a 1 tablespoon at a time, until you have reached your desired texture. However, to thicken up a thin frosting, simply add additional sugar a teaspoon at a time. This should frost an average sized cake depending the thickness of your frosting. Servings: 1 average cake, 2 rounds, 12-18 cupcakes depending on thickness. Butter- 1/2 cup 1 stick softened to room temperature. Unsweetened Baking Chocolate-- 1 4 ounce bar. Melt this and use it at room temperature. Sometimes I will just put mine in sunshine and allow it to melt while I work. Be sure to put it on a plate or in a bowl if you decide to do this. Vanilla extract can sub in rum or other extract..- 2 teaspoons. Dairy- Milk Buttercream, or Greek Yogurt- 3-4 tablespoons depending on desired thickness. By the way if you are looking for more of a cocoa frosting, check out this recipe for sugar free cocoa buttercream frosting. 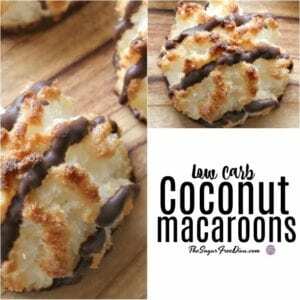 Please see post for details on this recipe and the ingredients. This looks delicious. Thank you for the blog entry. 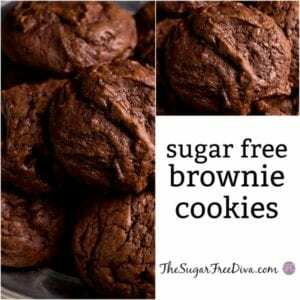 I’m so thankful for your sugar free recipes since I now really have to watch my sugar intake. This looks so delicious. With Stevia should me just as good, I like the flavor os the stevia better, thanks, it seems to yummy. I tried the frosting and the butter separated out before I got to mix the whipped cream in. It was like soft tootsie roll. 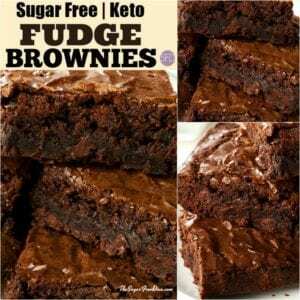 Very fudgy on brownies. My husband was dissapointed. This looks great. Would you recommend a cake covered with this be refrigerated? I would certainly refrigerate it. thanks! I am wondering what kind of adjustments we can make to your frosting. Sometimes we can add additional ingredients to balance out texture or try not to over mix. Thanks for the feedback on the fonts. thanks for visiting! I made this today. It seems tasty enough, smooth and spreadable. I did add a little more then 1/4 c of Greek yogurt. Waiting for my cake to cook before frosting. Glad to hear that this worked out for you. Thanks for letting us know!